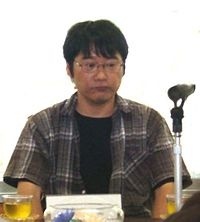 Yoshihide Fujiwara is a Japanese manga artist, born June 13th, 1966. Fujiwara first came to attention by winning the 1984 Shogakukan New Artist Award for Maris. He worked as Ryoichi Ikegami's assistant until 1986, and his artistic style closely resembles that of his master. In 1986 he made his formal debut with Shiritsu Shuuten Koukou.